There is no easier way to learn astrology than linear Astrology! The Professor puts Astrology on the line! Rev. 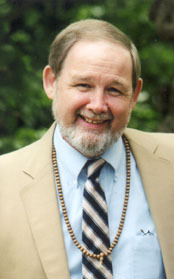 Thomas F. Kearns BS MA has been involved with the study of Astrology, Spiritual and Psychic Development, Religion and Symbolism in Myths Dreams and Visions for over 30 years. His work has been written about in articles in the Albany Times Union, Schenectady Daily Gazette, and other Newspapers from Maine to Florida. He is a Nationally Certified Psychic-Medium and Commissioned Healer. He holds a BS degree in Psychology from Mercy College and a Master of Arts degree in Philosophy from the University at Albany. He was a founding board member of the American Federation of Spiritualist Churches and Superintendent of its Department of Public Relations. He is the author of “The Art of the Mystic”, & the Golden Angels Healing Meditation CD’s for healing: “The Dove” & “In the Palm of the Hand of God”. He has developed a new approach to learning Astrology called Linear AstrologyTM. 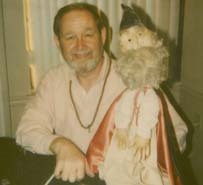 He has served many camps and churches for Spiritualism and has been heard and seen on Radio and TV stations promoting Spiritualism, the Psychic and Astrology. He has taught World Religions as an Adjunct Professor at the University at Albany, State University of New York and Astrology at Monroe Community College in Rochester, New York as well as at many other venues. He developed this unique approach to Astrology to facilitate a quicker understanding of the principles behind Astrology for the novice and beginning student. This will afford them a basis for grasping the basic symbols of the language system in a quicker manner. He captured this information on a 2 DVD set which allows you to watch and learn the subject manner in the same way that you would in a college class room.